LPU NEST Schedule II 2019 Application Form (B.Tech, MBA & Law Course) has been Extended till 25th April 2019. LPU NEST is also called a Lovely Professional University National Entrance and Scholarship Test which is a university level entrance exam. 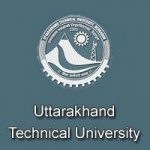 Through these candidates can get admission in the Engineering, Management, Law, Design, Agriculture, Hotel Management & many other courses of the university. This exam is conducted by Lovely Professional University every year a large number of candidates appears in this exam. By rules and regulations university, will provides the scholarship. Here, in this article details are given of LPU NEST 2019 Application Form, Exam Dates, Eligibility Criteria, Exam Pattern, Admit Cards and Syllabus Etc. LPU NEST Schedule II 2019 Application Form (B.Tech, MBA & Law Course) has been Extended till 25th April 2019. Click Here for Application Details. Candidates must know the Engineering, Law and MBA courses LPU NEST 2019 Exam dates. In the table, events are mentioned such as Starting of online application, Last date of the application form (with late fee), starting of slot booking for online, Date of Examination, and Announcement of result Etc. Here, we have given the exam dates for Engineering, Law and MBA courses. The candidates can check the individual schedule for all three courses. Filling of Online Preference N.A. Candidates who are interested have to fill application form LPU NEST 2019 exam before the due dates. If candidates submit after the maturity date application will be not accepted. The candidates can get the LPU NEST 2019 information brochure from the university website or can also be purchased from the admission office at the university campus. As per the scheduled provide above in exam dates candidates can fill LPU NEST 2019 application form. The candidates can register their application on the website through online mode only. LPU NEST 2019 Online ( for B.Tech, Law and MBA Course) Application Form [Schedule II] has been started on 21st January 2019. LPU NEST 2019 Registration will be Closed on 25th April 2019 for Schedule II. Fill the application number and password for subsequent logins. The application process will be started on different dates for all offered courses. Candidates can apply as per the course for which they are seeking admission. Fill application along with that fill the exam center preference and book the slot for the online exam. Candidates should keep print copies of filled application form for further use. The application will be accepted after the payments is done. Payments of the application can be done through online mode. The application fee can be paid through online mode (Debit/credit card, net banking or through demand draft). The application fee is Rs. 500/- for boys and Rs. 250 for girls (for online). For offline, the fee is Rs. 500/– for both boys and girls. 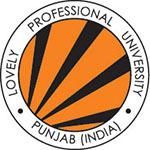 The DD should be made in favor of “Lovely Professional University”, payable at Jalandhar. Check full eligibility criteria according to courses wise because different courses have different criteria. 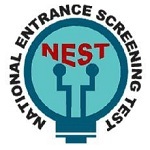 To apply for LPU NEST 2019 entrance exam candidates should check criteria whether they can apply or not. Here, candidates can check the complete eligibility criteria to apply in law, engineering and management courses. Nationality: Only Indian National candidates are eligible to apply. Qualifying Exam: The applying candidate must be graduated or appearing in graduation from UGC recognized university, institution, college, etc. Qualifying Marks: The candidate should pass with 50% aggregate marks in Graduation or equivalent subject. Qualifying Examination: The candidates must pass or study in 2019, in the final examination of 10+2 from CBSE, ICSE or State Board or any other Council, Institution, college, etc. Qualifying Marks: The candidates must be obtained 60% marks in aggregate in 12th standard. Subjects: The qualifying examination should be passed with Physics, Mathematics, and English as compulsory subjects. Qualifying Examination: The candidates should be cleared/appearing in the final examination of 10+2 from any recognized Board. Qualifying Marks: The candidates must be scored 60% marks in aggregate from any stream with English subject. 50% marks for the candidates those applying for LL.B course. LPU NEST 2019 exam will be held on different dates, candidates have to appear for the exam as per course. 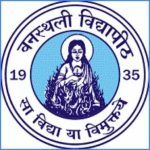 The exam will be conducted in online mode only means the computer bases test. Candidates have to complete their exam within a total of 150 minutes. Mode of Exam: The examination will be conducted through online mode only. Duration of Exam: The total time provided for the exam will be 150 minutes. Type of Questions: Multiple Choice Type questions will be asked in the examination. Number of Questions: Total of 100 questions will be asked. Negative Marking: There will be no negative marking for wrong answers or unanswered questions. Mode of Exam: The examination will be conducted through online mode (CBT). Duration of Exam: The duration of the exam will be 150 minutes. Number of Questions: Total of 110 questions will be asked. Note: Candidates can opt for either PCME subject combination or PCBE subject combination. Duration of Exam: The total time provided for the exam will be 120 minutes. Number of Questions: Total of 80 questions will be asked. The question for LPU NEST 2019 MBA Syllabus exam asked will be from English, General Awareness, and General Aptitude. 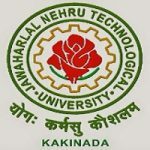 Candidates who have selected the B.Tech courses, they have to study from syllabus 12th class syllabus which will contain the subjects like physics, chemistry, English, mathematics/biology. And in Law exam, the topics will be picked from the Quantitative and Logical Aptitude, Legal Reasoning, Legal Reasoning and English. Make the proper timetable on a regular basis. Gather all details of syllabus, exam, pattern and its content. Start studying all subjects on time so that no topic will remain untouched. Work hard on the difficult concepts. The study is important but the most important is to improve your skill and tackle the problems. Candidates have to download LPU NEST 2019 hall ticket after booking their slot for the exam from the official website. To download candidates have to enter their registration ID. Admit card is a mandatory document in which candidates have to keep safe. The LPU NEST Admit Card 2019 for B.Tech & Other Courses will be Releasing on 1st week of December 2018. After 48 hours of the slot booking, candidates can download the admit cards through the official website of the university. Without valid LPU NEST 2019 admit card candidate will not be allowed to attend the exam. The LPU NEST 2019 Result has been announced for various courses on the official website of the exam. Through online mode, candidates can check their LPU NEST 2019 result. Candidates can check their LPU NEST 2019 result, but they will be needed login credentials. The LPU NEST 2019 Result has been Declared on 10th February 2019 (For B.Tech, MBA & Law Course). The result will be sent on the candidate’s registered email Id. Keep print copies of its further admission process. The University will conduct the counseling or admission procedure. LPU NEST 2019 Counseling will be held in offline mode; candidates will be selected in the admission procedure by marks obtained in the LPU NEST entrance exam and Interview. All candidates have to submit counseling fees online or by visiting the university campus or camp office. 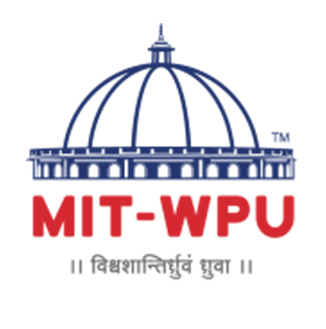 LPU NEST 2019 Counseling for (B.Tech Course) will be Started from 4th May 2019. The candidate has to upload all documents needs and have to select the courses of their choices in the admission form. At final seat will be allotted after the verification of the documents. If you have any other queries about LPU NEST 2019, you can write your queries in the comment box given below. Sir, what does score card or rank card means.